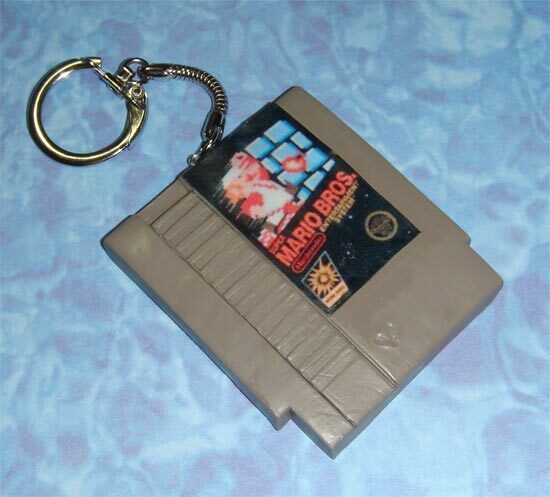 Here is a fun accessory for all the NES fans out there, these fun NES Game Cartridge Key chains. 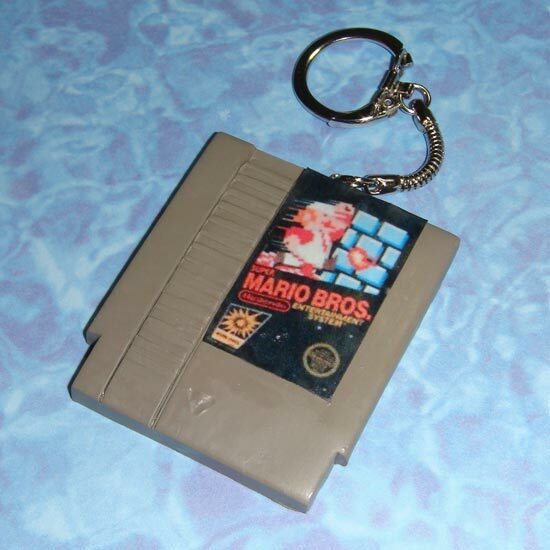 These fun key chains are handmade from polymer clay, each one measures 2.25 x 2 inches, and you can either choose one of the games available or have a custom one made with your favourite NES game. 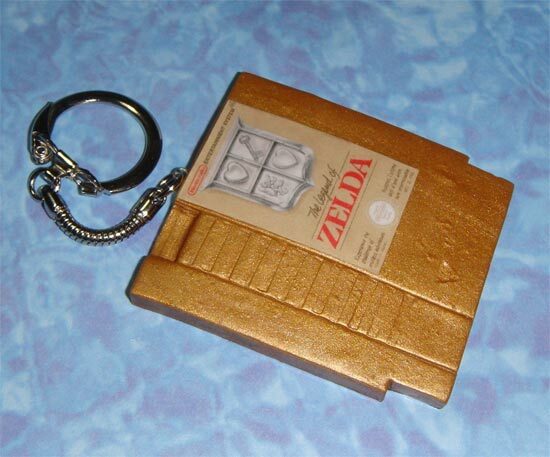 There are two versions available at the moment, a Gold Legend of Zelda version and a Super Mario Bros version. If you want one they are available for $15 each from The Clay Collection.